Originally from USA, Alexa Boulton found herself at the forefront of winemaking innovation in Ningxia, China. Having completed her WSET qualifications in Beijing with Fongyee Walker MW, Alexa is now furthering her wine education with a Master’s programme in Bordeaux. Here she sheds insight to the changing perception of Chinese wine. 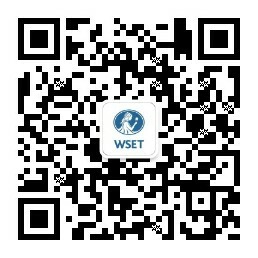 You completed your WSET Level 3 Award in Wines in Beijing. How did this education influence your journey in wine? It was my WSET qualifications with Fongyee Walker MW, DipWSET and Edward Ragg — two of the most engaging, open, and inspiring wine professionals that I’ve had the pleasure of working with — that led me to pursue wine as a career! Although my parents did enjoy wine at home growing up, it certainly wasn’t part of our culture. It is an unconfirmed rumour that I consumed my fair share of Franzia at university. The WSET qualifications opened my eyes to the complexities of wine and the secrets contained in each glass. This led me to enrol in a Master’s program in Vineyard and Winery Management at Bordeaux Sciences Agro. Although I’m only half-way through the degree, I’ve already been blown away by the world of viticulture and oenology. My current internship at Château La Conseillante in Pomerol has given me a deep sense of rightness; I’ve never felt so at home as in the vines and cellar here. Of course, there is still a lot more to learn and I’m very excited. Maybe one day soon I’ll be spotted in a WSET Diploma course! The markets that excite me the most are those that are full of educated, curious wine consumers, people who are less attached to big names and more interested in experiencing great wine. China is a fast-growing economy and their wine culture is steadily growing — having lived there the last five years, what changes have you seen in wine consumption? Chinese wine consumers are more and more educated about what they’re buying and drinking. This makes all the difference between a market reliant on big names or big regions (Bordeaux being the most infamous example) to a market interested in niche producers, odd-ball varietals, and even organic and biodynamic wines. For a wine producer or communicator, this is a real pleasure to see. As a boutique winery, how do you differentiate Silver Heights Winery from the larger foreign invested wineries in China? Silver Heights Vineyard was founded as, and remains to this day, a family winery. Our wine is the result of the collaboration between Emma, her husband Thierry, her parents, and even her sister and daughter! Expanding from this core, our team is comprised only of native Ningxia-ians (with the exception of myself, of course), all of whom grew up in the shadow of Helan Mountain and understand our terroir intimately. Each person, from Emma to our cellarhands to our shepherd Liu Shu, is committed to producing wine of the highest quality — something that will make not only ourselves, but also all of Ningxia, proud. This commitment, which manifests itself in actions small and large, is what has driven Silver Heights to set the bar for Chinese wine. As Export Director, how do you choose the markets you enter? The markets that excite me the most are those that are full of educated, curious wine consumers, people who are less attached to big names and more interested in experiencing great wine, no matter the varietal, provenance, or producer. This is our target audience, and we have seen a great response! A great example is Hong Kong — since being taken on by Watson’s Wine last year, we’ve been listed in over a dozen top-tier restaurants, like Ta Vie, Beefbar, and Petrus. Each of these restaurants have something in common: a forward-thinking sommelier who truly cares what is in the glass. What are some key points you want consumers to understand about Chinese wine? Change. This is the most important word relating to China over the past 30 years, and it applies particularly well to domestic wine production. I have heard many horror stories of wine consumed by travellers in China, but the scene is changing rapidly. The “boutique” wine movement in China has raised the bar for all Chinese wine, and we are really seeing the results of that. Better equipment, techniques, rootstock, and most importantly, a deep commitment to quality above all else, has completely changed the way domestic wine is produced in China. At the end of the day, what you need to make great wine is simple: the best terroir, the best techniques, and of course, passion — and China has all three in spades.